Before you worry that a sudden change in employment, a venture into entrepreneurship, or a sneaky health insurance clause will have you seeing big bills, check out this list of options for moms-to-be on a budget. While most doctors will ask to see your insurance card, many will not deny seeing you for prenatal care, especially if you are upfront and honest about your situation. If your doctor is a Medicaid provider, they can assist you in filling out the necessary forms to apply for assistance. 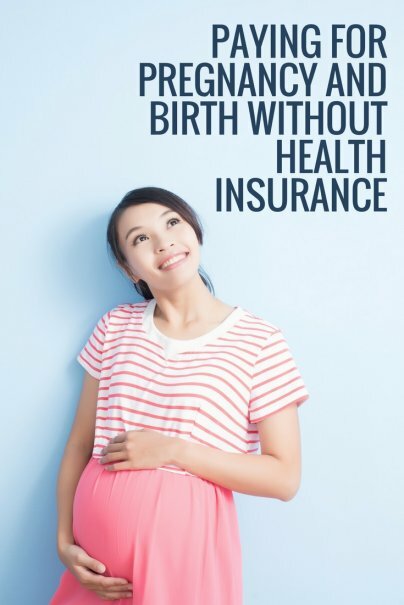 Even if you don't qualify for traditional Medicaid coverage due to a higher income, many pregnant moms qualify for prenatal and post-delivery care via special state and federal programs aimed at ensuring babies are born healthy. "Presumptive eligibility" simply means that the provider chooses to provide you care even before you have completely filled out your application for assistance. They go off of the information you give them, as well as a positive pregnancy test. Once you've applied for, and been accepted to receive, health benefits, you can usually expect to see no interruption in your care routine. Most Medicaid programs will also pay bills related to your pregnancy for up to 90 days prior to your application. Keep your receipts. Many hospitals and health systems have non-profit funds that they give to lower-income patients who do not have adequate insurance and don't qualify for state or federal assistance. Usually, these funds are distributed on a sliding scale, but they can significantly cut down on your final bill and keep you from falling into medical bankruptcy or other scary situations. You should ask about any non-profit funds that may be available at the first visit when speaking with the financial counselor at your physician's office or health center. For moms who don't qualify for assistance or choose not to apply for it, there are discounted plans available for moms who can settle their bill prior to delivery. While there can be some surprises with any pregnancy (emergency c-sections, for example), most physicians have a standard schedule of care that they recommend, along with pricing tiers for the prenatal visits, tests, and final delivery. For moms who can pay a little at each visit, or even in full prior to be admitting to the hospital, there is usually a hefty discount — 25% or more in many cases. No mom wants to skip out on essential services that can detect problems and provide a happier outcome for mom and baby, however, not all moms agree on what diagnostics are necessary. Many moms have chosen to opt out of extra screenings, ultrasounds, or blood tests that are more informative than preventative (genetic screenings, for example). This is a very personal decision that should be made with the full understanding of what you are giving up, but it can prevent you from being charged thousands of dollars for screenings that you didn't want or need, anyway. Just be sure to discuss all extra tests with your doctor before the visit they are scheduled for. Many nurses follow a standard procedure for care and may assume you want the tests. If you are opting out of any diagnostics, ask what samples will be used for and ask to sign off on any lab work that you feel may be out of your comfort zone. This increasingly popular form of prenatal care is gaining respect in the health community, especially among those with limited health coverage. While the cost can vary wildly between geographic areas, most midwives that come to your home for health care can save you 50% or more on the cost of your prenatal care. Add to that the discount received by delivering at home or in a birthing center (rather than a traditional hospital), and many happy moms have reported total bills of no more than $3-4,000 (compared to the $5-12,000 of a doctor-assisted birth). This choice will be more suitable for those who prefer a natural birth and live close to a hospital (in case of a life-threatening emergency), but many moms have enjoyed the perks of using a midwife while paying for the services in full at the delivery. Health insurance is changing all the time, especially in light of the recently passed health care legislation. Regardless of any upcoming developments, however, there are a couple of things you can do before you get pregnant to ensure that you aren't scrambling for coverage at the last minute. Many self-employed and individual plans do not cover maternity care, and those that do may require a separate rider to be purchased. Additionally, those that cover maternity care may only pay for services that are considered "emergency" and will not cover basic prenatal care and standard delivery fees. If you plan on becoming pregnant and are eligible for open enrollment at your work, check and double-check that everything gets filled out and turned in on time. Likewise, many employer plans require that you enroll the newborn on the company plan within 30 days of birth, or the child will not receive coverage (and your prenatal and delivery claims may be denied.) Be diligent and never assume that your work has "taken care of it." How did you pay (or are you planning to pay) for pregnancy related health care costs? We had insurance for both our boys. But between the deductable and copay on emergency C sections, and prematurity, both came to a hefty amount. For the first one we arranged a payment plan and when we had a sudden drop in income we contacted the hospital to make new arrangements. We got a very kind letter back informing us they had a fund to cover such things and suggested when our situation improved sufficiently to put into it for others. The second child. We had been saving for years for a trip to see my grandparent's homeland. And had purchased the tickets (with travel insurance) when we found we were pregnant. The pregnancy was going smoothly and we were assured the trip would be fine. However the placenta started separating, and he was born early. We had just enough to cover our expenses from the cashed in trip. So glad that it worked out for you! The "pay it forward" spirit behind some of the hospital funds is really a great way for communities to help one another! I'm very young and not getting pregnant anytime soon, but these sound like interesting ways to pay for pregnancy without health insurance. It looks like it can be done, but I feel like having health insurance would be smarter and safer than selective-diagnostics etc. I agree that it's always best to have coverage ahead of time. As a self-employed person, our individual health plans never covered maternity, and until the new health laws go into effect in 2014, many plans won't. As far as selective diagnostics go, doctors are running more and more "tests" without even asking the mother if it is something they would like. One of the things I found with my last pregnancy, is that many of the tests aren't actually able to provide any preventative benefits. A DNA test, for example, could tell you that your child has genetic disorder, for example, but most of the doctors I talked to said that -- unless you are considering a termination of pregnancy -- it's not very useful in providing any specialized care for that baby, and (in some cases) could cause worry in the pregnant mother that could be more dangerous than useful. There is a myriad of testing available, from bloodwork to ultrasounds to amnios, and some of them are considered controversial in some circles. Some doctors do all of these tests as a matter of preference, but some doctors choose to do them only as they see fit (or as the mother requests them.) The important thing is to remember that your course of care will (and should) differ based on the needs of you and your baby. Being billed for everything just because you can, isn't right, and it may not actually provide the best benefit for you and your child. Ask lots of questions! But if you got pregnant n have obamacare, they send you to Medicaid n Medicaid finds u not qualified n u left stranded with no insurance or one with hefty oop, it's my experience n I can't afford big bill but I'll try to pay what I can or I'll give up my baby to someone who can cover d bill n her well being. I knew someone who was self-employed with her husband. They didn't have pregnancy coverage when they got pregnant and decided to have a midwife-attended home birth. This was their first child. The pregnancy did not go well. The baby has interuterine growth restriction, and the wife was in and out of premature labor for many weeks. She also did not gain enough weight in the pregnancy, and there were other signs of fetal distress. However, she pushed on with her decision to have a home birth. After the baby was born it had to be transported to the hospital and stay in the NICU for several days. To make a long story short, the child ended up suffering from disabilities related to the pregnancy and birth. We can't know for sure that he wouldn't have had suffered from a birth injury if she'd been supervised by a doctor from the moment things began looking high risk, but it seems likely that this was avoidable. But a FIRST birth as a home birth, a known HIGH RISK pregnancy as a home birth, and a birth that is not progressing well to be continued as a home birth....this is a very, very bad thing. Her desire to save money and have a "peaceful" experience very nearly cost her son his life. So in all things...moderation. Caution. Care. Birth, included. From my research into home births and experiences of friends it sounds like she either went against her midwife's wishes and/or had an irresponsible midwife. Most mid-wives will only do extremely low-risk deliveries. While there are sad stories from all types of births I think many women are scared into a medical and/or hospital birth. There are many resources out there about home birth and the benefits/risks. Every women has to consult a responsible provider and be well educate whether they are choosing a hospital or home birth. Usually midwives screen you to make sure your a good match for a home-birth. When I used a midwife I was screened the whole 9 months for any problems that would make a home-birth not possible. The group of midwives I use call BirthCare near Washington DC does 25 births per month (they are a team of 5 nurse midwives) and I believe they have been doing it for over 20 years. As of the time I gave birth, the main reasons they transferred to the hospital during labor were non-emergency, failure to progress situations. My midwifes had a working relationship with the local hospital. I am surprised that the midwife in the above situation agreed to continue with the home-birth if the birth was high risk. It does not save money to have a high risk home-birth that is just going to end in a hospital in the end. I would not be surprised if you would end up paying a little more. Finances are not a good reason alone for a home-birth. But I also believe in women being able to have the freedom to choice how they want to birth, even when it seems unwise to others. It took almost forever to get our daughter's birth billed and paid for correctly. (Let's just say I was pregnant with our second by the time the final statement came in and it was all finished!) One not-so-bright person in accounts tried to make us pay our 20% co-pay on the entire bill, including our deductible! After months of phone discussions and getting nowhere, we ended up having to make an appointment in person, go in and with pen and paper, show this person that since we were paying 100% of the deductible, and we had to pay 20% of the remainder as our co-pay, we didn't have to pay 20% on the full amount. After arguing with this person for 20 minutes and trying to explain it as many ways we could think of, they FINALLY got it and didn't charge us the extra 20% for our deductible too. Aye yi yi. I wonder how many other patients had been overcharged and for how much -- they wanted several hundred dollars for our extra 20%! I used a midwife. I wasn't sure if my health insurance would cover it. If it had not, it would have been $4000. That included the entire 9 months of prenatal care, lab tests, etc...I also was required by the midwives to take a child birth class, hire a birth assistant, and by the supplies for the birth itself (there are kits you can get online or make your own). That included everything from cord clamps to a heating pad to warm baby blankets so the baby got a nice toasty blanket when it was born. I got first rate care. My current health insurance does not cover a midwife, but if I was to get pregnant again soon, I will pay out of pocket for the midwife. I too used the BirthCare midwives in the DC area for my first (and only) child. My insurance at the time covered it, but my current insurance wouldn't cover a home birth. I'd pay for it out of pocket if I needed (~$4000). I had a great experience with them, and would definitely go back if I ever wanted another child. I was constantly screened for issues that would risk me out of homebirth, as they only work with extremely low-risk pregnancies. Our daughter did have to go into the NICU 3 days after she was born, but it was not for an issue that would have appeared at birth or any of the follow-up appointments with the midwives. Insurance covered that completely, and not as part of "maternity" coverage, so even if I hadn't had maternity coverage, as soon as our daughter was on our policy, she was covered as a separate person.